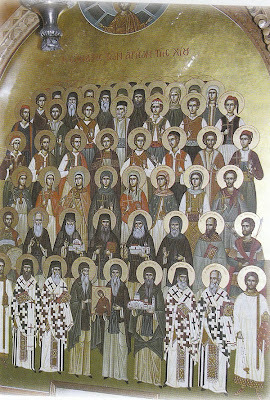 On the first Sunday of September, the Holy Church celebrates the feast of All Saints associated with the island of Chios. This includes those who were born there, who lived there, who visited there, and who reposed or were martyred there. 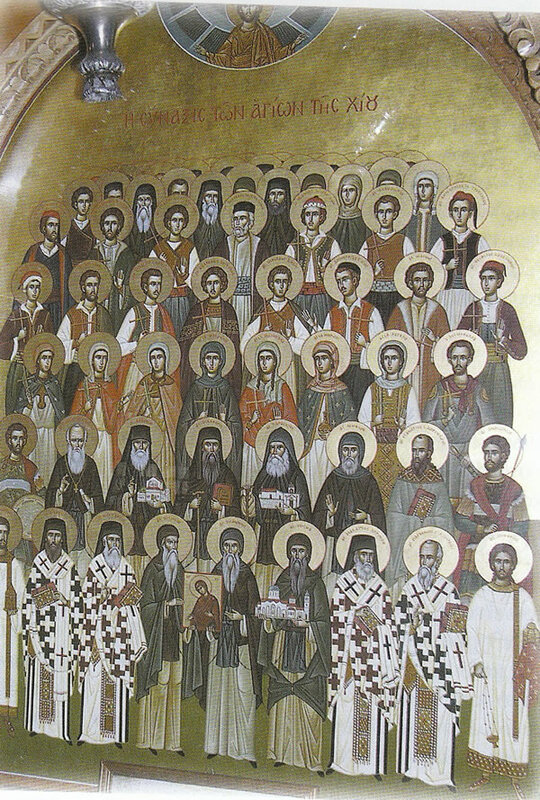 The holy icon of the Synaxis of All Saints of Chios was first made at the Holy Monastery of the Annunciation of the Theotokos in Oinousses and is today found in the Holy Church of Saint George in Frourio.